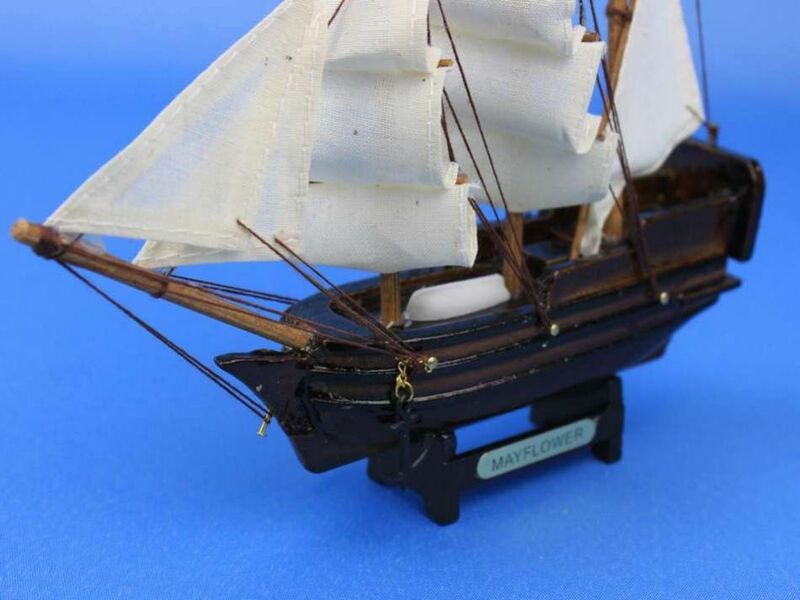 Wooden John Halseys Charles Black Sails Limited Model Pirate Ship 26"
The famed Mayflower, which carried the Pilgrims to Jamestown in 1620, is recreated here in an enchanting 7" tall ship model. 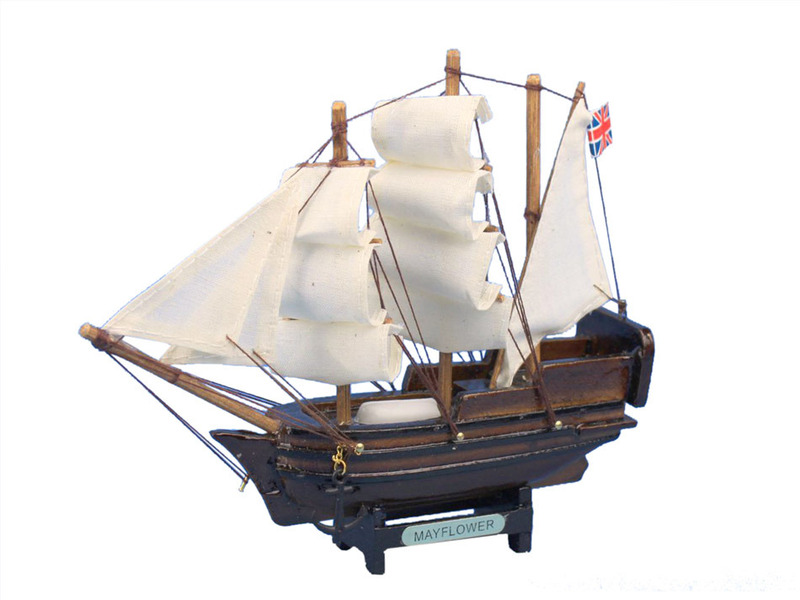 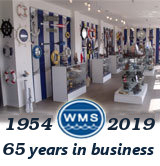 Perfect as a gift for any child or nautical enthusiast, this 100% solid wood is reproduced in intricate detail complete with realistic sails, rigging, and a solid metal nameplate proudly displaying her title. 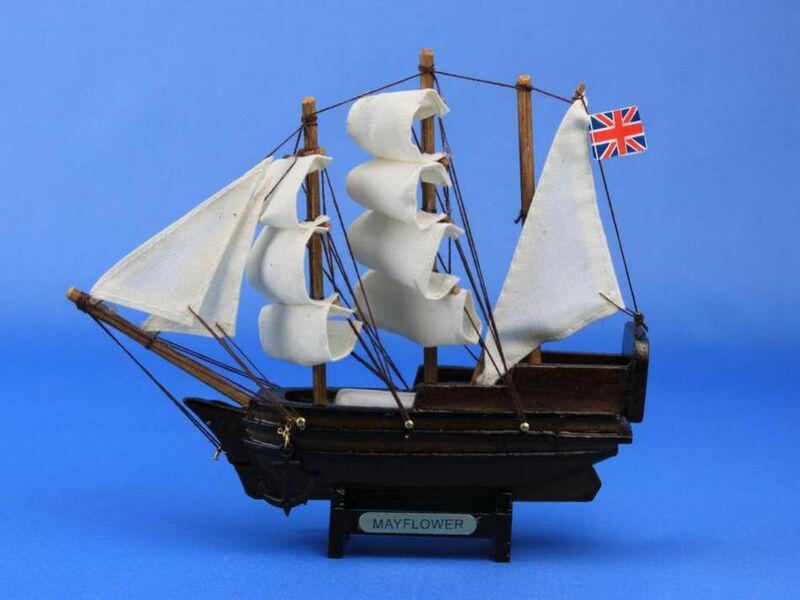 Place this ship upon your desk, or in any room or office, and enjoy the history and handsome aesthetics of this legendary ship.